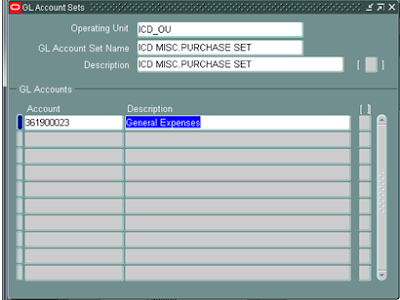 STEP 1: Create a SQL*Loader program that uses the flat file provided by the card issuer containing the credit card transaction details you want to transfer into the AP_EXPENSE_FEED_LINES_ALL table. STEP 2: Define the card issuer as a supplier. 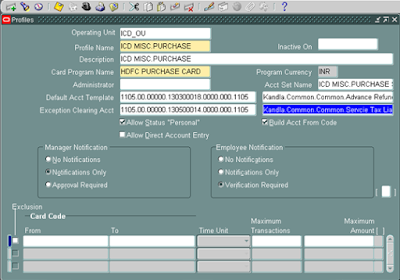 Navigation: Oracle Payable Super User--> Suppliers--> Entry. 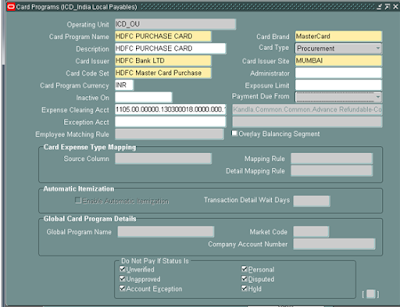 Navigation: Oracle Payable Super User--> Setup--> Credit Cards--> Procurement Card--> Code Sets . Navigation: Oracle Payable Super User--> Setup--> Credit Cards-->Procurement Card--> GL Account Sets. 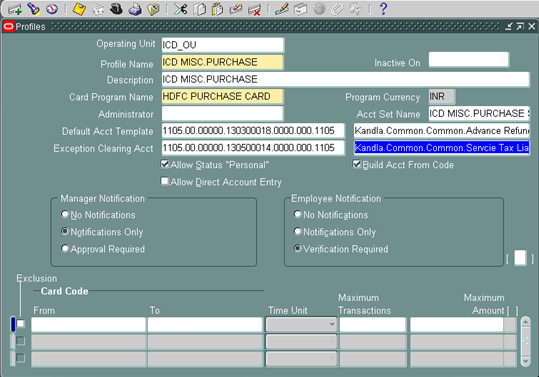 Navigation: Oracle Payable Super User--> Setup--> Credit Cards-->Procurement Card--> Profiles. 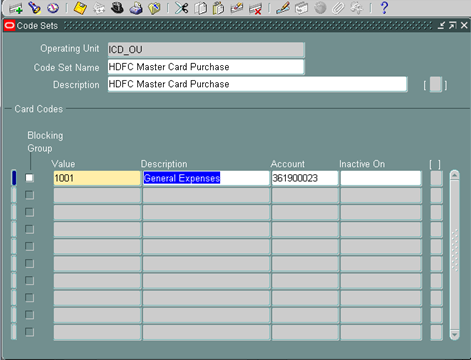 STEP 7: Select the Procurement Card check box to indicate that the supplier site is P-Card enabled. 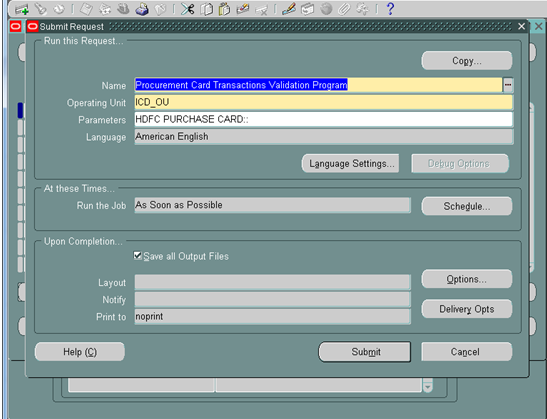 STEP 9: After that upload the data through the SQL Loader Program, then run the "Procurement Card Transaction Validation Program" Request. Navigation: Payable Super User--> View--> Request "Create Procurement Card Issuer Invoice"
"Payables Open Interface Import with source"